This is a project I've been ruminating about for a really long time. TBH I don't know if I will ever be able to finish it someday, but I am willing to try hard at least, so here goes. I was always intrigued by John Romero's first draft about what the Quake game would be about - the saga of a Thor-like character using magic weapons to bash his enemies, becoming at some point "the most dangerous person in the continent". What continent ? Atlantis ? Is this happening (or happened) in our planet or even dimension ? Mix these ideas with "Conan the Barbarian" movie (the first one with good ol'Ahnold, let's just pretend the last one never happened OK ?) and good doses of Diablo hack and slash and you got the general idea of my project: a topdown/isometric perspective Quake prequel, telling how a seemling peasant eventually became "the Quake". 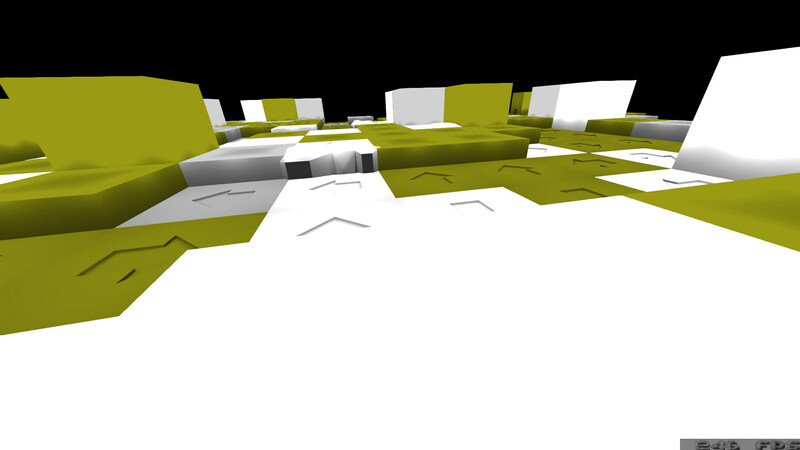 The game world is meant to be procedurally generated, persistent and at least partially destructible. Likewise, mobs, NPC's, items, side quests and even substantial parts of the main quest are supposed to be randomly generated. I don't know yet if I can wrap all this working in a coherent manner, but I think the final result would be awesome and worth to try. Right now I am working in several pieces of this puzzle. The first challenge is the world generation itself, and I already developed (and scratched) 4 variants with different degrees of success. Right now I am in the 5th iteraction, and this one seems solid and stable enough to make me confident that I am in the right direction this time. Here follows some screenshots using colored placeholders to represent different visual themes (badlands, ice covered regions, ruins, etc). Another interesting feature will be the AI to guide mobs and NPC's in the random mazes. 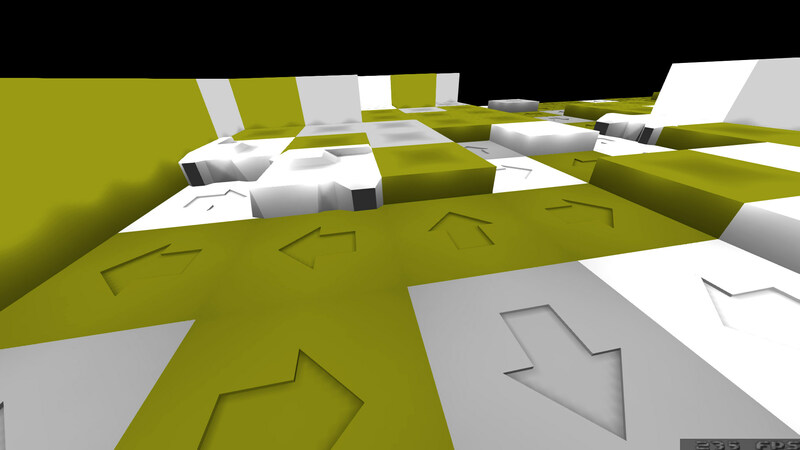 The idea is to use the grid disposition of the walkable cells and apply some variation of the A* algorithm to replace Quake zigzaggy navigation. I've made tests with the concept and looks promising. I am right now working in building placement (for castles, ruins, villages, etc), and after this I will work in some real, original artwork. 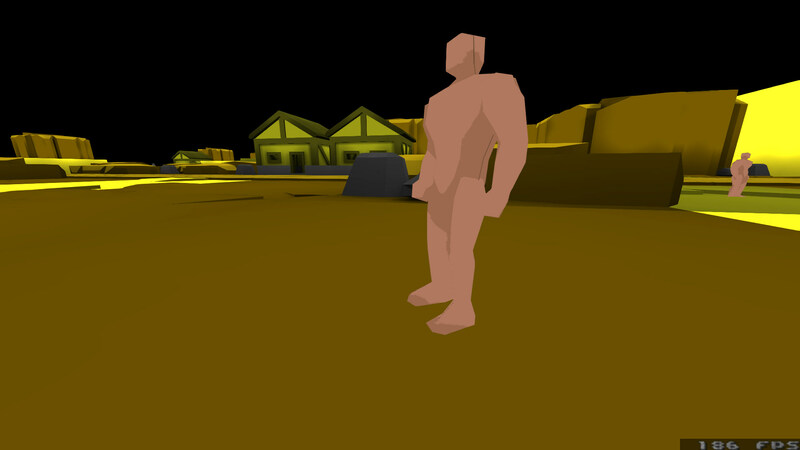 I can only recommend hurrying a little with the programmer art. getting tiles to blend gracefully together will be a pain if you don't focus on it. the borders between tiles look like they'll be either horribly labour intensive, or ugly. also don't forget to add monsters+stuff, games are more fun than tech demos! doing that stuff later might leave it feeling clumsy and poorly balanced. or in other words, don't bother polishing something that depends on the other things working first. that's what I'd be paranoid about if I were about to be working on it, at least. Spike wrote: I can only recommend hurrying a little with the programmer art. getting tiles to blend gracefully together will be a pain if you don't focus on it. the borders between tiles look like they'll be either horribly labour intensive, or ugly. Yup, I learned all of this from the last iteractions. And you're right, making the cells to blend in a graceful way is hard to get right. Spike wrote: or in other words, don't bother polishing something that depends on the other things working first. And that's why I am focusing in the building placement first: in the last experiments, they were an afterthought, because I was too worried about looks. The results were... well, less than impressive. frag.machine wrote: Another interesting feature will be the AI to guide mobs and NPC's in the random mazes. 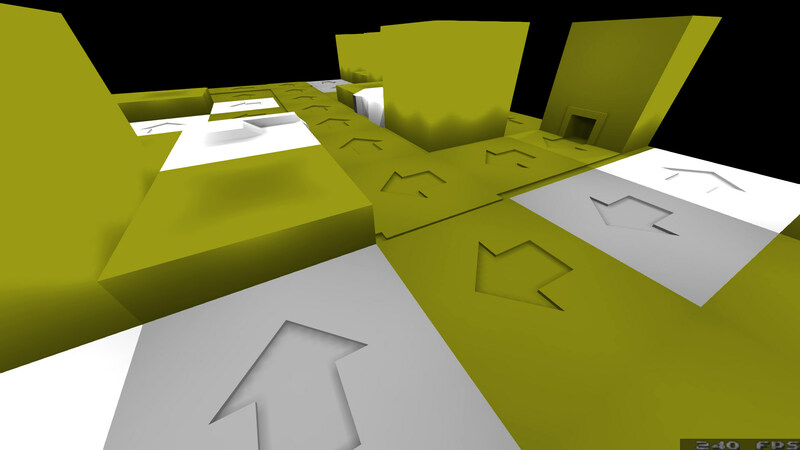 The idea is to use the grid disposition of the walkable cells and apply some variation of the A* algorithm to replace Quake zigzaggy navigation. Woah,I can't wait to see a video. Great work man! Pretty interesting concept. Good luck. Blending tiles: well, you can always make them a little bigger than they need to be so the meshes intersect at the sides. Then you'd just have to ensure that neighbouring tiles aren't at the same level. This really looks like a prime opportunity for modular environments, too. Mazes per se can be very boring, thus you really need to make sure that whatever happens in the maze is interesting enough. 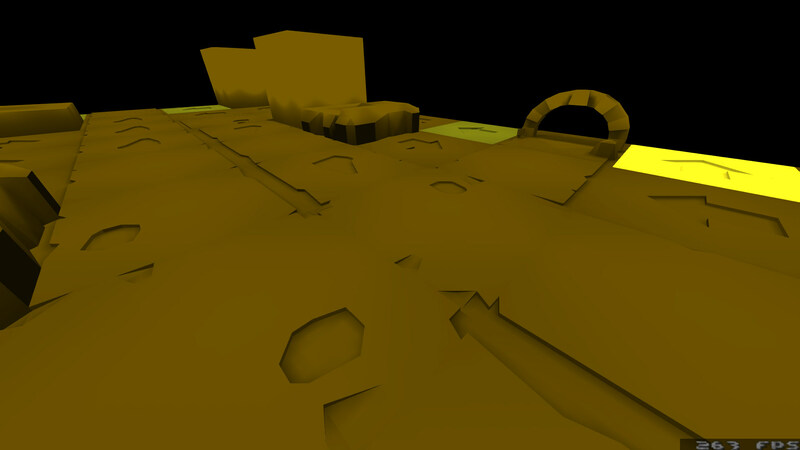 You guys are obviously right, so here is a couple shots of actual (although unfinished and untextured) artwork. Regarding the visual style: looking at these screenshots makes me wonder if I shouldn't try to use more clean, stylized and "solid colors" textures ? It would be a departure from the gritty, noisy and dark Quake visual identity, but I think it could work. What do you guys think ? goldenboy wrote: Pretty interesting concept. Good luck. That's exactly the approach I am using: interloping random brushes that together compose a more continuous visual. The great challenge is to make cells from different visual themes (say, ice and medieval buildings) to always work in a sane way. goldenboy wrote: Mazes per se can be very boring, thus you really need to make sure that whatever happens in the maze is interesting enough. 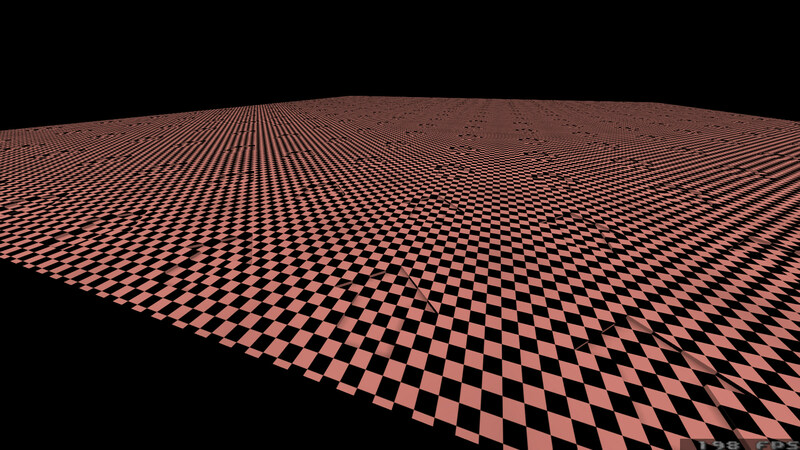 Well, there's not much room for complex mazes in a 16 x 16 grid anyway, so the gameplay will need to be interesting. frag.machine wrote: Regarding the visual style: looking at these screenshots makes me wonder if I shouldn't try to use more clean, stylized and "solid colors" textures ? It would be a departure from the gritty, noisy and dark Quake visual identity, but I think it could work. What do you guys think ? Absolutely... Toon shading? Cel shading? Could look pretty cool. Mixing snow and medieval buildings: Well, colour palette will be the key there. Seams can also be covered by grass, rocks etc. EDIT:what's the difference between toon and cel shading? @tonnedu200: yes, but trying not to slip into a goofy style. Take most of artwork in WoW for example: of course there is a lot of detail in textures (specially after the recent engine and 3D models overhaul). 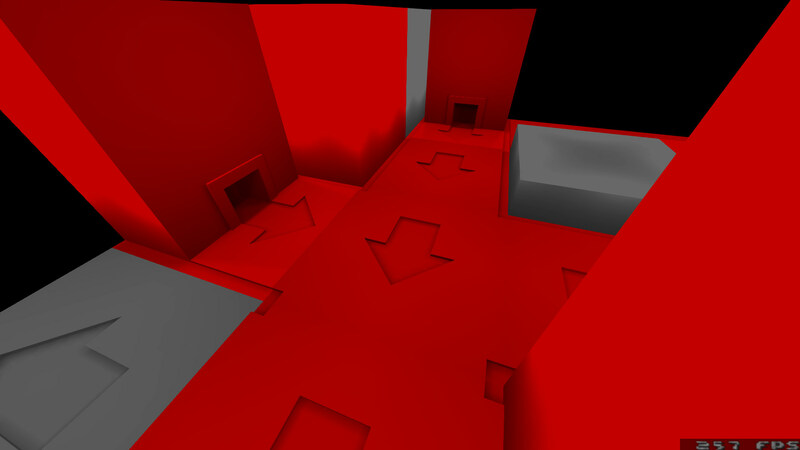 But you can easily identify predominant color tones, and even the low resolution Quake lightmaps can achieve very interesting effects without too dark and/or noisy textures, they end up killing all the depth the lightmaps can bring to a map or BSP model. @goldenboy: cell shading is an option, although it would add more time in the development... Let's see. toneddu: I mostly hear cel-shading used for something that includes the inky black outlines. Toon shading is just reducing the colours to very few shades. They're often used interchangeably though. @gb: thanks, I've always overlapped those terms! Working on actual stuff to replace the mock BSP models and experimenting with solid monocromatic textures. What do you guys think ? I know it looks maybe too much "TF2-like" right now, but my idea is to add small bits of tone variations and texture details here and there until I get something less goofy. 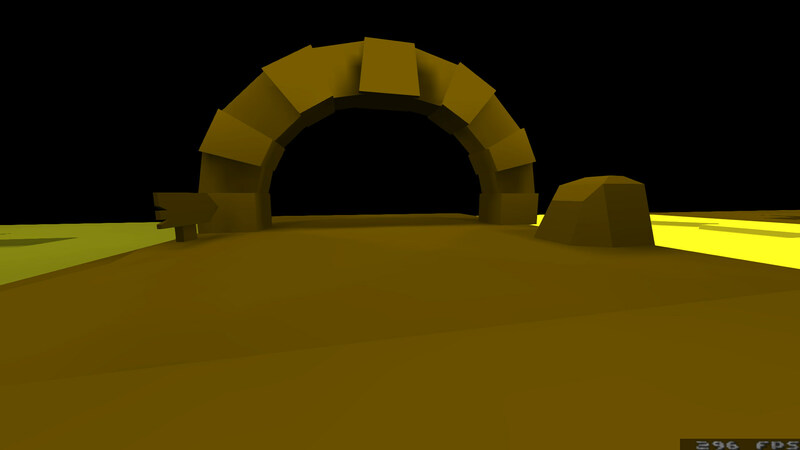 @tonnedu: Textured, but trying to achieve a toon shading effect (according goldenboy's explanation of what a toon shader is). Specially because the intended POV is isometric I suppose there's no point in very detailed textures (for now I intend to use 256 x 256 as the standard texture size on this project, maybe going up to 512 x 512 where more detail is required).